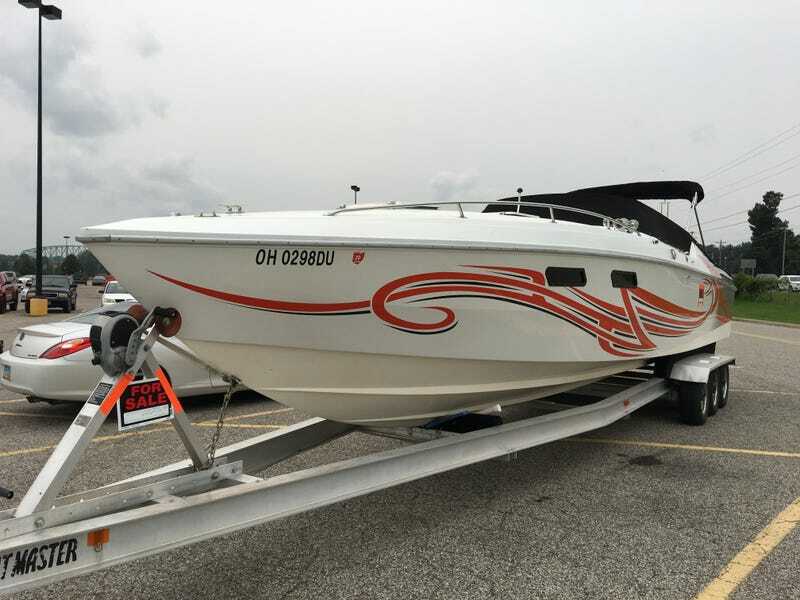 Boat named Midlyfe Madnyss is being sold, in going to guess by a middle aged man. THis thing is pretty huge compared to what I usually see around here, (I’m sure coastal oppose are rolling there eyes at this “huge” boat). Have part of a Solara for scale. The most impressive thing to me is that is powered by two supercharged, Chevy Big Block 525 V8's.